Discussion in 'Assets and Asset Store' started by blackmat, Jan 16, 2015. Make 2.5D isometric game easy! - Automatic sorting 2D isometric tiles and objects. - Sorting objects with single-tile size as well as multiple-tiles size. - Auxiliary functions for converting isometric coordinates into screen coordinates and conversely. - Placing and snapping of objects in the Unity editor. - Helpful mouse and touch functions. - Custom isometric tile angle, ratio and height. - Mix 2D and 3D support. This looks interesting. Will give it a try this week or next weekend. Will give it a try this week or next weekend. Hi, I bought an additional license, how do I send it to my coworker? Just copy extension folder to your coworker? - You always seem update the whole world if only one tile changes. Why not update just that tile? This looks like it will get slugish really fast with high tile counts. And this isn't only in the editor. If I'm doing a simple animation of one tile while the game runs, you scan all tiles, build up this dependency list, which is an O(n^2) operation and place all tiles again. For me the problem looks like the depth calculation could be based on a formula that absolutely places every tile, so you only need to calculate the depth of the changing tile, not of all. You may need to check the max size of each tile once at game start or when you add new tiles and store it in the world, so you know how much to offset the dept for each layer, but that should be all the dependency needed, then you can calculate the sortingOrder only for the changing tile absolutely. Otherwise in a 10x50 world with animation, in every frame you rebuild your 500+ ObjectInfo list and trash the old objects again and your dependency scan does 250000+ steps etc. and then all the Vector3 that get recreated and trashed every frame. - Some documentation stating how to calculate the sprites origin would be nice, not everybody may realize this immediately and in your video you also seem to wing it a little at one point instead of calculating the exact value and then setting it. - You force a pixel per unit of 1 for the sprites - This isn't felxible enough and should be changed, so the developer can use his own scale to allow to control the orthographicSize as needed. This looks promising so far, but I can't recommend it for games above a certain tile count - especially not on mobile. And the missing flexibility in "pixel per unit" means you have to start with this Asset and adapt everything else to its needs, which makes adding this in a later gamedev stage harder. I'm delaying my asset store user review till I know if you plan any changes. I thinking about it and I will try to implement more faster method. You should link to the assetstore from your original post above and also to the bugtracker and what else could be interesting. What are your plans regarding the other bugs and feature requests? New 'UpDown' isometric type (like jrpg). Fix some bug (#3) from bug tracker. Show me any reference to isometric (game or pictures) which you want to make, please. I am using 3D cars on it. So i need it to be in top-down mode. Updates to the same plugin will make my work 200% faster . I'm pretty new to Unity in general, but using this toolset, how would you apply your own sprites into it like characters or specific titles? this looks pretty interesting. I always avoided Isometric 2.5D cause i was scared about the whole sorting thing but this asset will make it a lot easier. i have a simple question: Did you ever tried to mix 2.5D Isometric Backgrounds with 3D Characters? like "Kingsroad" or the "Ultima" Game for iOS is doing it? would that be possible with your toolkit? Hi, RobertOne! In the next version I will update sorting algorithm to make it much faster. And after that I'll think about mix 3D and 2D. Any news on supporting top-down view to create isometric grids. Waiting for your response. I cant use the plugin in its current state. Added the new sorting algorithm to improve performance noticeably. Any news on top down support ?. Should i be waiting for the feature ? Hello again Blackmat. How would you go about making the wall objects impassible? Hi! Useful stuff, but there are a few comments. Does not support nested sprites - components and IsoObect and SpriteRenderer must be on the same object. Worth GetComponent<Renderer>() replaced by GetComponentsInChildren<Renderer>(). Hi! Just purchased this and found a bug with the physics. In example scene 2, gravity is on the wrong axis. Once this is fixed I can test and review this. My bad, I set wrong parameters for "player" and "balls" colliders when I submitted plugin to the store, and fixed them only web-demo. Hello everyone, I have a problem whit the show bounds option, my isometric game have another angle direction, but the Iso Object script make a specific angle direction, how I can change the bounds to another angle direction? It is bad news, but I hope that the new version of the plug-in come very soon. hi there, any news on the mixing 3D and 2D feature? ikemen_blueD and schmosef like this. Mix 2D and 3D is already done, but isn't released yet. Hi, i quite interested at your products but is it possible to make stairs using your plugin ? Hi! Of course it's possible. Love this toolkit!!! However I can't seem to get the ISO Physics working, the player will fall thru the level on the test level. I also cannot get any callbacks. Can you help? Thanks! You can watch video example and sample with physics (in Scenes folder). 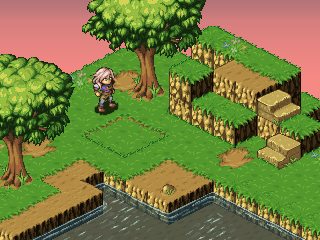 I just bought the plugin and i would say it's pretty come in handy for my RPG based game using isometric as the tiles. Just wondering, do you have any documentation to implement stairs ,so the character walking through the tiles can move up / down ? You can simple change positionZ for IsoObject for move character up/down.